Last month, Natural Healing Center became the first business in the county to begin selling recreational marijuana legally. Later in July, 805 Beach Breaks followed suit and, too, started selling recreational pot after becoming fully licensed. 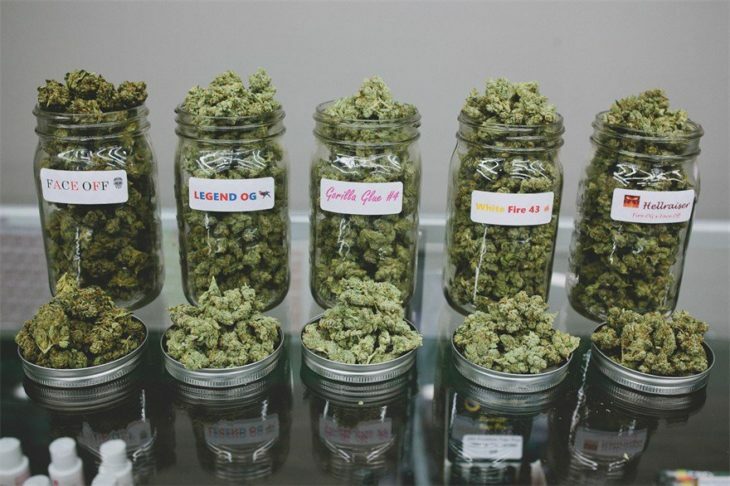 Initially, both stores operated solely as medical marijuana dispensaries. Now, a doctor’s recommendation is no longer needed to purchase marijuana at either location. Recently, many marijuana businesses in California were going through turbulent times as new testing and packaging rules took effect at the beginning of last month. The rule changes resulted in fire-sales as businesses rushed to get rid of their untested products, and many pot shops then struggled to stock their shelves while complying with the new regulations. 805 Beach Breaks General Manager Daniel Fried told KCOY that the rollout of regulations on July 1 caused business to slow down. But sales tripled since the store became licensed to sell pot to recreational users, Fried said. 805 Beach breaks is getting customers from as far south as Santa Barbara and as far north as Monterey, Fried said. Natural Healing Center and 805 Beach Breaks are currently the only brick and mortar marijuana dispensaries operating in SLO County. Two more pot shops are slated to open in Grover Beach, and the cities of San Luis Obispo and Morro Bay are preparing to have brick and mortar dispensaries as well. Many people are using edibles these days. I suggest people seriously ask the dispensary about dosage. Usually the edible has multiple servings. People don’t pay attention and ingest way too much. They take too much and feel like they will die. You can’t die from it, but it will just leave a person really anxious. ER’s are seeing much more of this. It cracks me up that it’s called ‘recreational.’ Some recreation. Maybe we can just call it pot, since it matters none it’s purpose. Anyway, “recreational” is to pot smokers as “social” is to drinkers, same-same! One’s just seen as the social norm’, drinking, while the other, smoking pot, is still trying to get past the irrational fears and prejudices that should be reserved for the other, drinking, and its known addictive qualities that kill thousands every year just from its consumption. That didn’t even make sense. I went there. Everyone in the store looked normal to me–certainly a lot better than any bar I walk into. A guy high on pot is a lot less dangerous than a guy drunk on whiskey. 10 to 1. I’ll share where I get my material. I am a sort of science buff, “the cloud chamber” and for the passing stoner, it was an early morning walk with my wife along a country road. Three cars with filled with people who were not neighbors sharing their cloud of morning glory as they drove by on their way to work at the medical marijuana farm that the county slipped into the permit process. So now our neighborhood has been discovered by a new class of honest hard working people? Thank you County of San Luis Obispo and the extra law enforcement that was provided for this nobody’s home neighborhood. Oh yes there are cameras, you can see there’s a head, two arms and two legs, anyone know who they are? Officer, I’ve being robbed by a being, hurry up and catch it. So what’s your point Jorge? That you’re happy they weren’t drinking because if they were they would have hit and killed you and your wife and then driven off to avoid the manslaughter charges? Oh no, two more pot stores opening in the area?! This is obviously another sign to many that the end is near! Does this same feeling arise to a certain faction when a new liquor store opens in the same area, and if not, why not? The irony is that one doesn’t need a doctor’s prescription to purchase a 5th of Jim Beam, and now there is no need to have a script for Marijuana as well. We are finally “evolving” from the Sixties.